We can no longer accept surrender applications at this time due to a shortage of fosters. 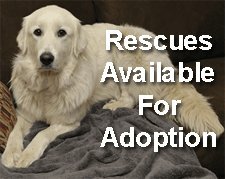 Contact other rescues (list of rescues) who may be able to take your dog, or, we are happy to courtesy post your dog for you. You will need to send us four good photos of your dog along with a profile that gives potential adopters a good idea about your dog as well as your contact information. The note in pink below under 'Please Read This Carefully' will also apply to our courtesy postings. We will ask potential adopters to fill out our adoption form. We will forward that to you. Please email 4.dharris@gmail.com with photos and your dog's profile. 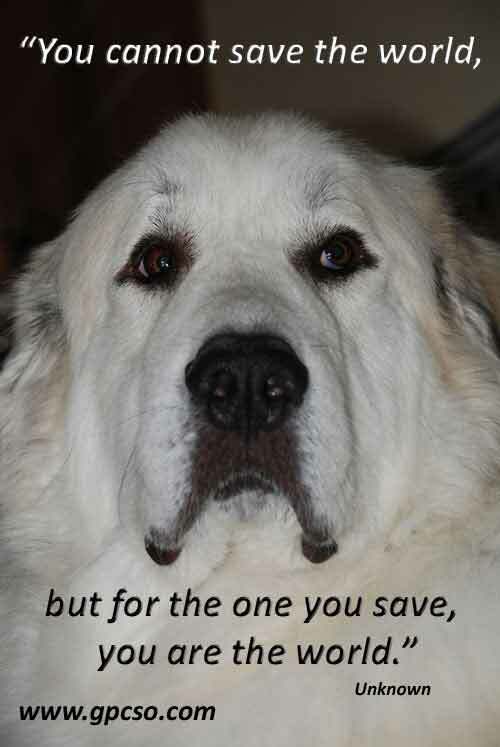 You have a Great Pyrenees Mountain Dog that you need to surrender. Please fill out the surrender application below, and we will get back to you once we have reviewed it. Be prepared to send photographs, as well, should we be able to bring your dog in. We will ask you to transport your dog to a foster or our vet if we find a suitable foster. We will also ask you to have your dog's vet records sent to our vet if we are able to bring your dog in. Know that Pyrs are not aggressive by nature. Those are the ones who have been well-bred and socialized and handled by many many different people in their first eight weeks of life to be continued by their new family. 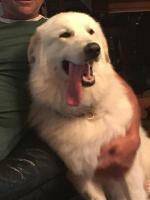 We avoid bringing in mixes since the Pyr is the breed we know. We don't know other breeds. 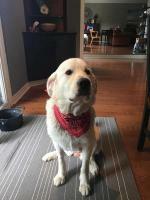 Note that we do not accept dogs with aggression (this includes dogs who have bitten, do not allow invited guests into your home or attempt to attack people on the street) or behavioural issues such as separation anxiety or attacks other dogs or is dog reactive. In the case of aggression, we suggest you return the dog to the breeder. For behavioural issues, engage a vet behaviourist and/or positive-reinforcement trainer who will come to your home to assess and show you how to manage your dog if they think it is possible. Also, have your dog checked by a vet to ensure they are not having any medical issues that may be triggering the aggression. Do not rehome your aggressive dog. This will put your dog at risk of being abused (including dog fighting rings) for this behaviour. Know that aggressive behaviour will only escalate with time. This is a blog on behaviourial euthanasia. Knowingly surrendering an aggressive dog or a dog with serious behavioural issues into our care is a legal liability, and puts our fosters, potential adopters and the public at risk. 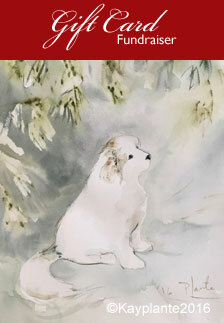 We take in Great Pyrenees since that is the breed we know. Does your dog have two nails on each hind leg with a pad for nail? This doesn't always determine if it is a Pyr but it's the closest indication we have. First, complete the Surrender Form below. 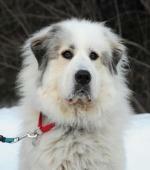 Then a member of our Pyr Rescue team will contact you directly. Our Surrender Form provides us with the most information regarding your dog. It may take an hour to a few days to be reviewed. If you need to contact us urgently regarding surrendering your dog or if you know of a dog in immediate need, you may contact our rescue coordinators directly. Your phone call/email will be returned quickly, usually within 24 hours. Please phone only between 10 a.m. and 8 p.m. 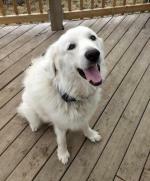 Emergency Pyr Rescue Contact information is at the bottom of this page. How long has this dog been under your guardianship? Will the dog run if loose? * ---Select---Yes No Do not know - dog has never been loose. If we are able to bring your dog in, we will ask you to send the records to us. What amount are you able to donate? Donations can be made through PayPal on our website (top right corner). Thank you. Home: (613) 224.6501 - please leave a message. Please phone only between 9:00 a.m. and 5:00 p.m. Please send a Message to Donna. Messages are checked very regularly. 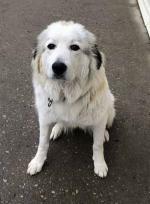 Leave the Surrender Form and return to Great Pyr Rescue.